Last month marked the 8 year anniversary of the Tea Party movement (TPM). One of the remarkable characteristics about the movement that has been largely overlooked is the role of women. From its beginning, the Tea Party was largely a women-led movement. Think back to the beginning of the Tea Party. Who were the faces of the movement? They were women. Two of the three founders of the largest (and only remaining) national TPM organization are women (Jenny Beth Martin and Amy Kremer of Tea Party Patriots). 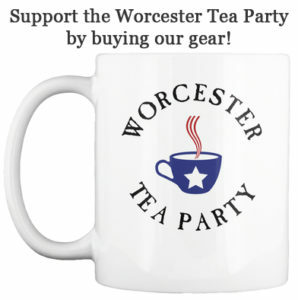 More importantly, hundreds of local Tea Parties were founded and led by women. Our own organization would not have survived without the involvement of several hard working and dedicated women. In popular political culture, conservative women are usually relegated to the background by a media that doesn’t want to admit women can be conservative. High profile conservative women are treated like pariahs who have betrayed their gender. This year’s Women’s Marches made it clear that conservative women were not welcome. Half the women in the country were being told that their voices should not be heard. This message was no surprise though. Gender politics has devolved into a brutal and divisive battle. One side insists on purity of thought. On the other side, “family values” seems to dominate, yet dissenting opinions are still welcomed. Today’s conservative women are often pro-choice and/or pro-LGBT rights. Their voices may not be loudest, but they are allowed to have a voice. The left does not allow for this kind of dissent. To them, your gender voids your right to an opinion that does not fit their dogma. The Tea Party movement inspired many talented women to run for office. These candidates have had a large impact on many issues. More importantly, they represent a pool of talent that will shift the balance of power from a political system dominated by men, to one equally shared. Whether it was for School Committee, State Representative, Governor, or U.S. Congress, the Tea Party supported and inspired women have stepped up to claim the power that is rightfully theirs. They deserve our support and our gratitude for all that they have done and continue to do for our communities and for our country, not because of the incidental fact that they are women, but because they are patriots. ← Has our government always worked this way?